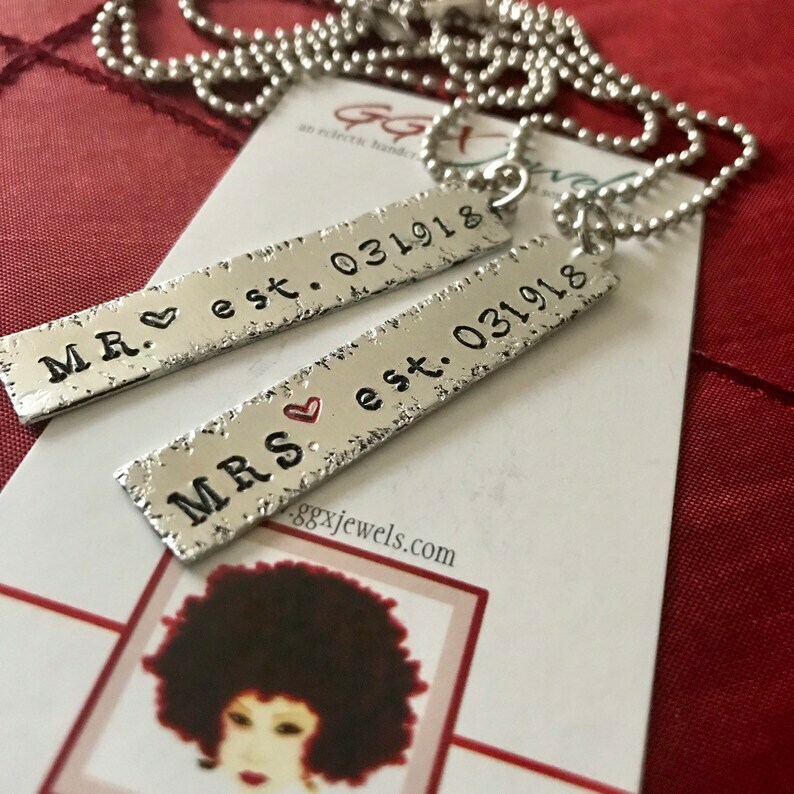 This listing is for one pair (2) of CUSTOM CREATED charm necklaces, detailed with ONE focal stamped by hand inscription charm (Mr. & Mrs with date)! Simply stated for a husband and wife - but what is seen here is but a sampling of what I can do. Convo me if you want something other than what is pictured here. The possibilities are endless. me what you want, and I'll #stampdat for you! BE SURE TO LEAVE A NOTE UPON CHECKOUT WITH ADDITIONAL DETAILS - date, initials, etc.